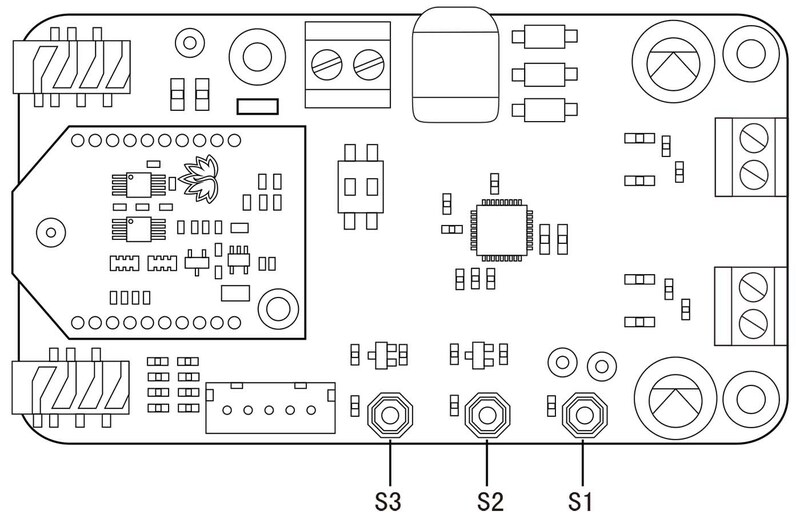 TSA9840B 2x20W audio amplifier board with a new AudioB plus Bluetooth module that supports Apt-X. It has perfect class-D architecture(Based on MAX98400A) and each channel has 20W power output. Both of channels are capable of outputting nominal power simultaneously and continuously. 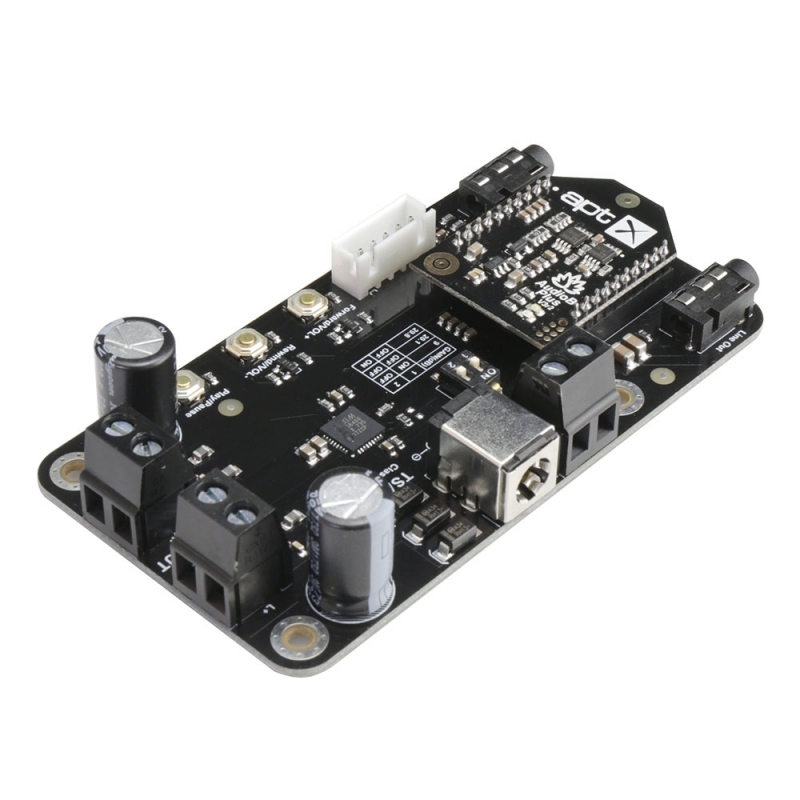 This board can be powered by any DC10V-24V power supply. It can be used to drive two 8Ω passive speakers. 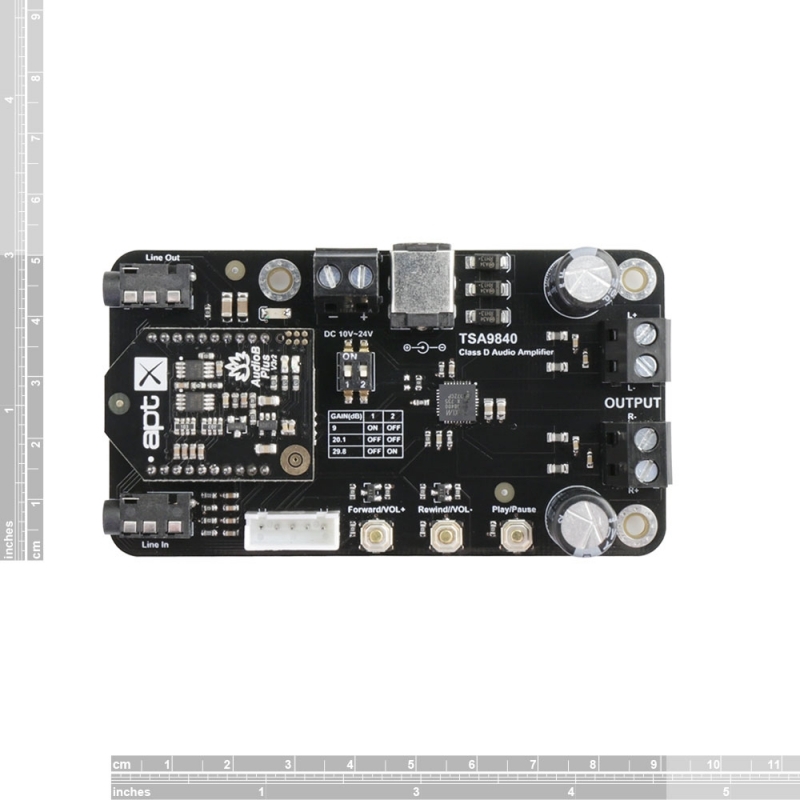 TSA9840B can also be connected with our TSA1000,TSA1010 or TSA1020 external audio volume control board. People can adjust the audio volume by rotating the real knob. The highlight point is Apt-X and TWS supported. 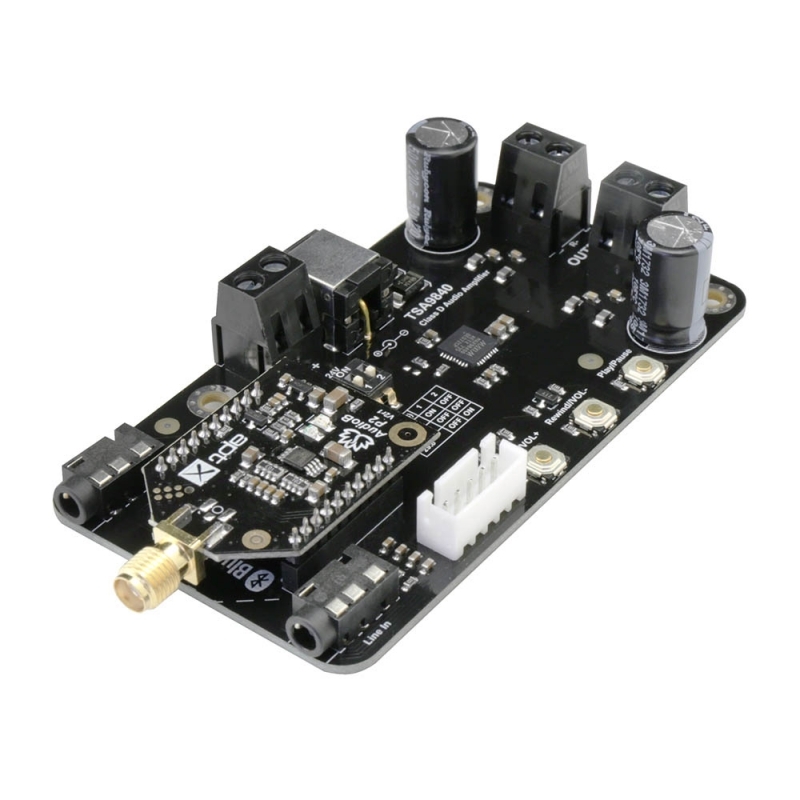 Therefore, Users can stream audio to 2 pair amplifier boards at the same time wirelessly. It's perfect for your Hi-Fi application. You may wish to pair with a mobile phone or a computer (etc). Power the amplifier board. Use your phone or PC (etc) to search for a new Bluetooth device. 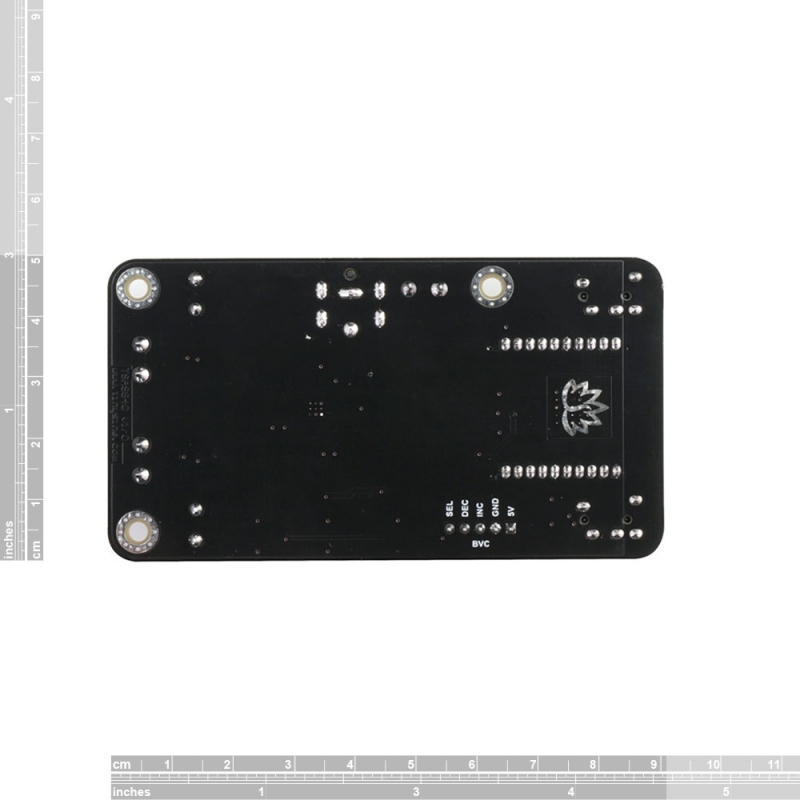 The module will appear as "TSA9840B". You don't need a PIN, pair it and then you can play music. 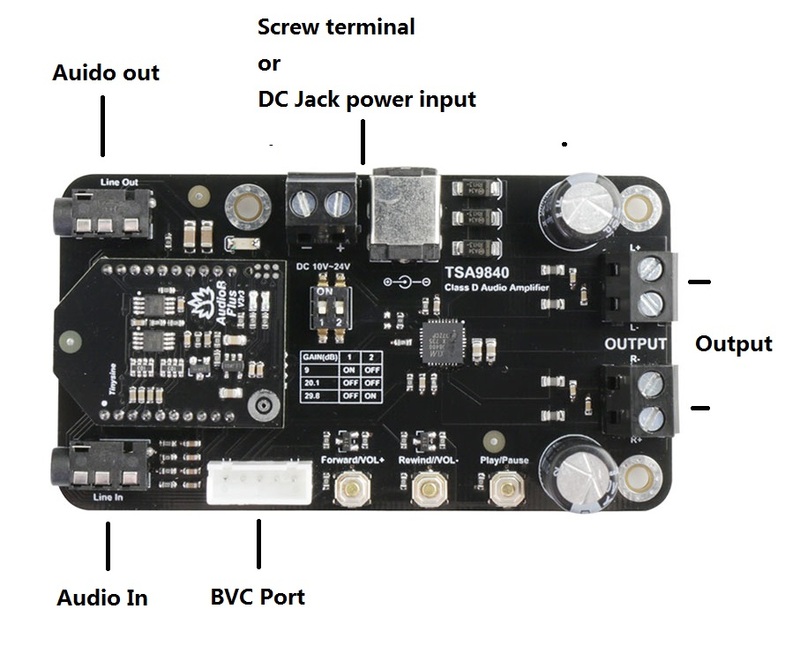 TSA9840B can auto detect the Aux in/Line in Audio input. Bluetooth Audio source has higher priority. When Bluetooth audio is paused or bluetooth is disconnected. The amplifier will output the Aux in/Line in audio. TWS mode supported. 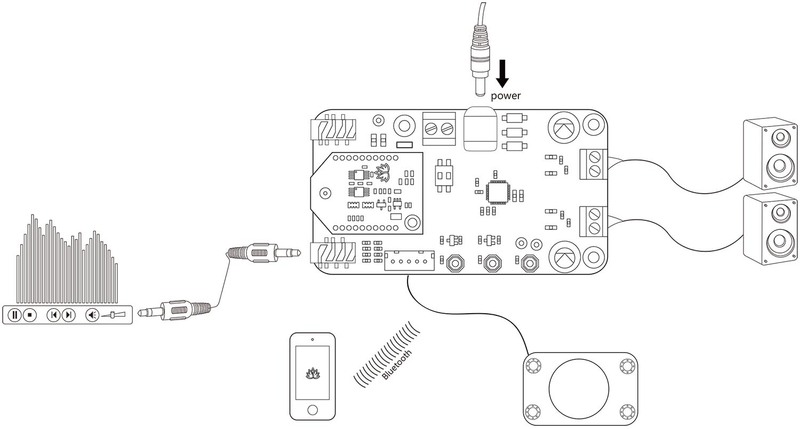 Users can stream audio to 2 pair amplifier boards at the same time wirelessly. There have an extra LINE OUT audio output jack. 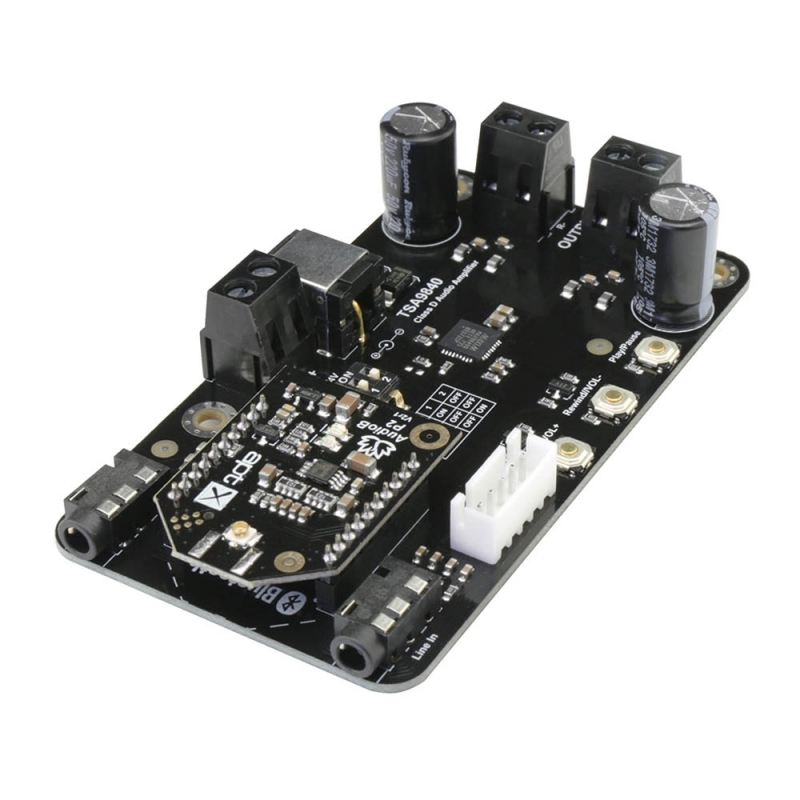 It can also be connected with a subwoofer amplifier board. BVC Port: BVC port can be connected with our Audio volume controller to control the Bluetooth audio volume. S1 - Long press 3s into pairing mode. Long press 6s clear the pairing info. S1+S2 - Long press 1s into TWS slave mode. S1+S3 - Long press 1s into TWS master mode. S2+S3 - Long press 1s disconnect TWS connection.